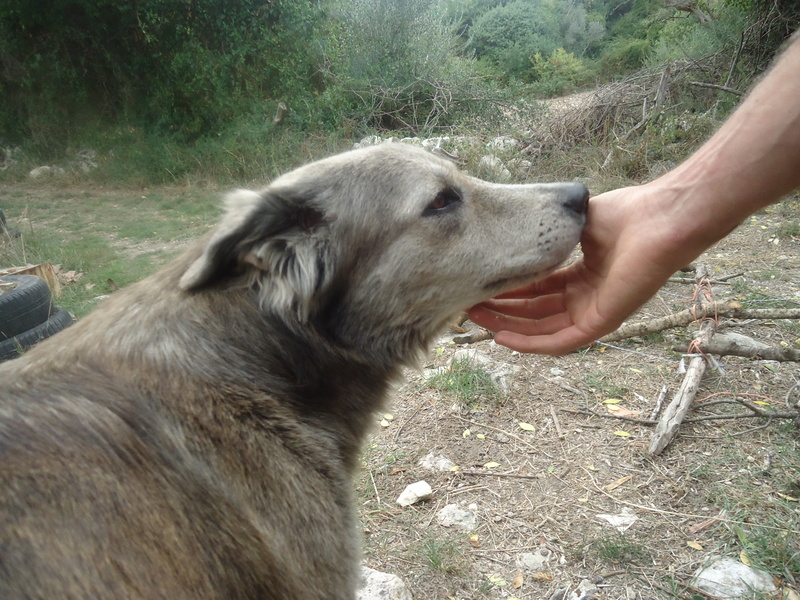 A visit to Alessandra and the ecovillage she and her friends are creating was a day immersed in nature, observing, learning and having Ale as a guide who with her vaste knowledge made the experience very interesting. 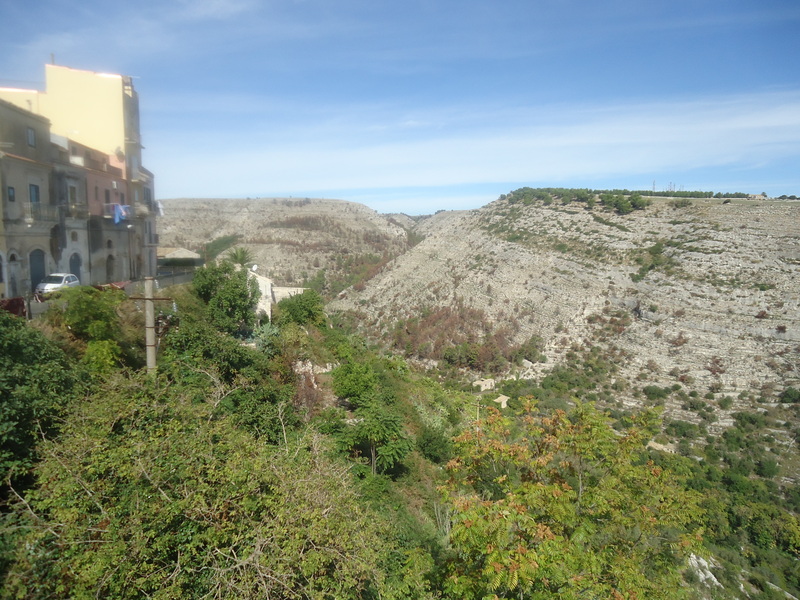 This property is close to Ragusa on the Iblei Mountains. 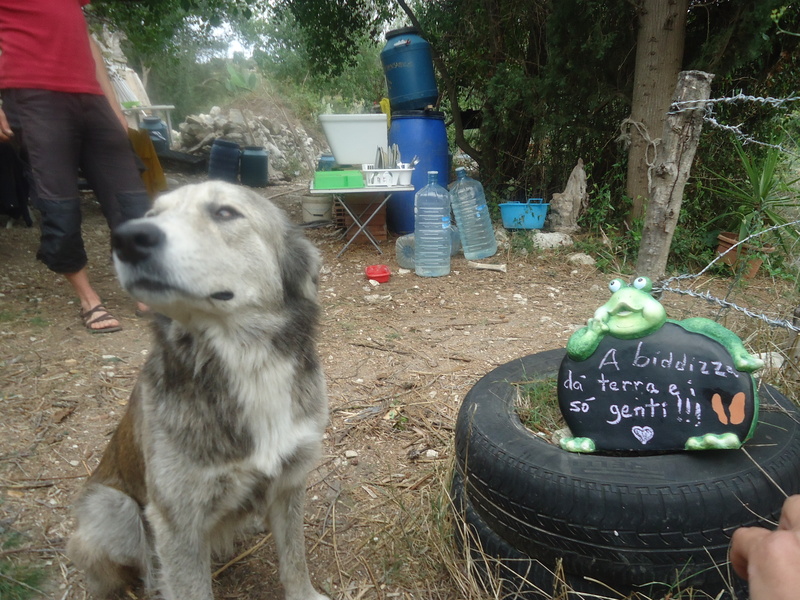 Alessandra cultivates this land with Ruben and Phil and they practice permaculture. 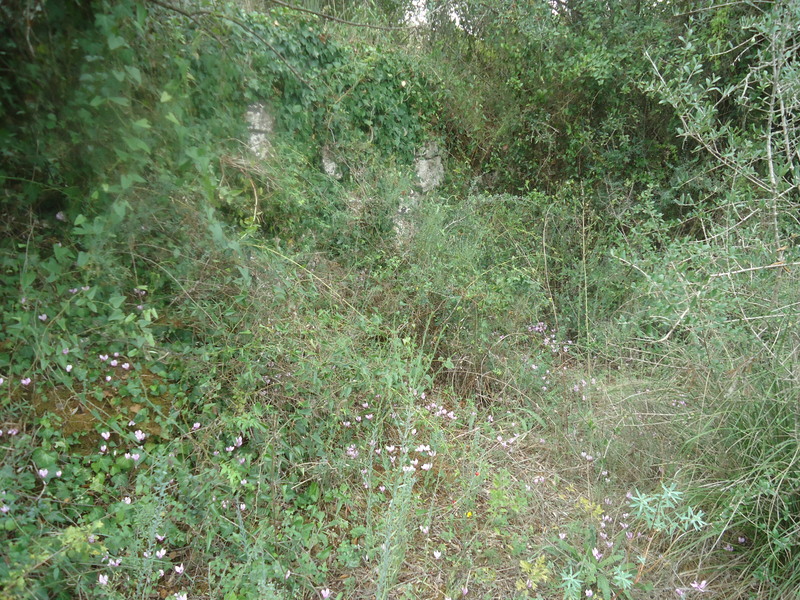 The land, named Vallone delle Pezze, was abandoned for forty years as the owners moved to Denmark. Then, Phil, who lived in Denmark and was related to the owners, decided to return to Sicily, two years ago, and work at improving the land. He was joined by Ale and Ruben on this project. At that time, the Vallone delle Pezze was totally covered by brambles and it took Phil, Ale and Ruben six months to clear all the brambles manually and discover a fertile soil under all that cover. They have planted trees and grafted wild ones that they found on the premises. They set up their vegetable garden creating mounds in which they plant the vegetables and the swales catch the water run-off. There is no flooding with this method. 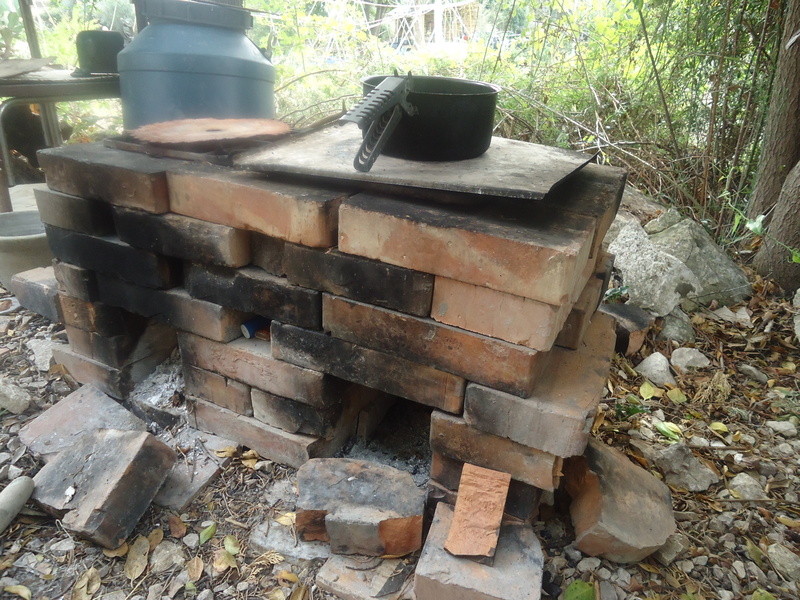 They have built a rocket stove for their cooking needs, a clay oven, and a compost toilet. They plan to build a home here soon. The day I visited there were two friends of Phil visiting from Denmark.. 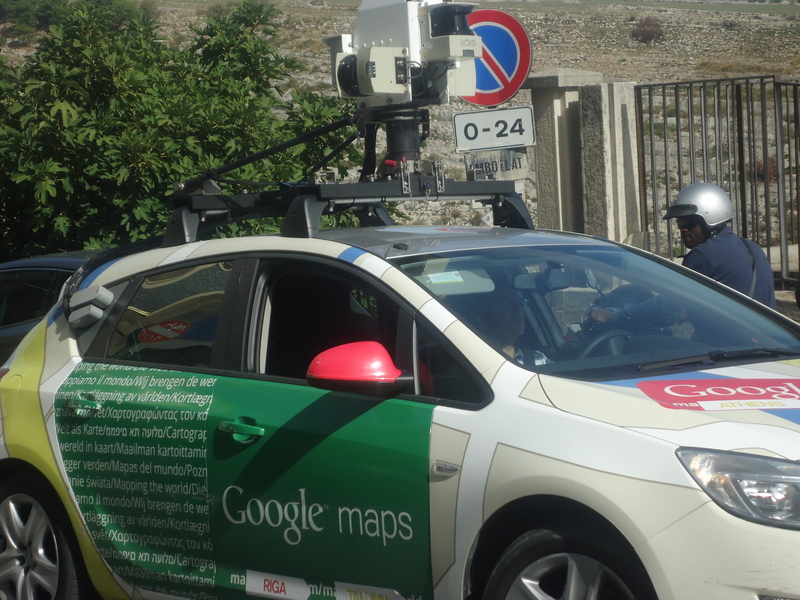 I met Ale in Ragusa and while waiting the googles folks drove by. Ale and I drove to the the vallone and as we arrived close to the property, we parked the car and took a walk. 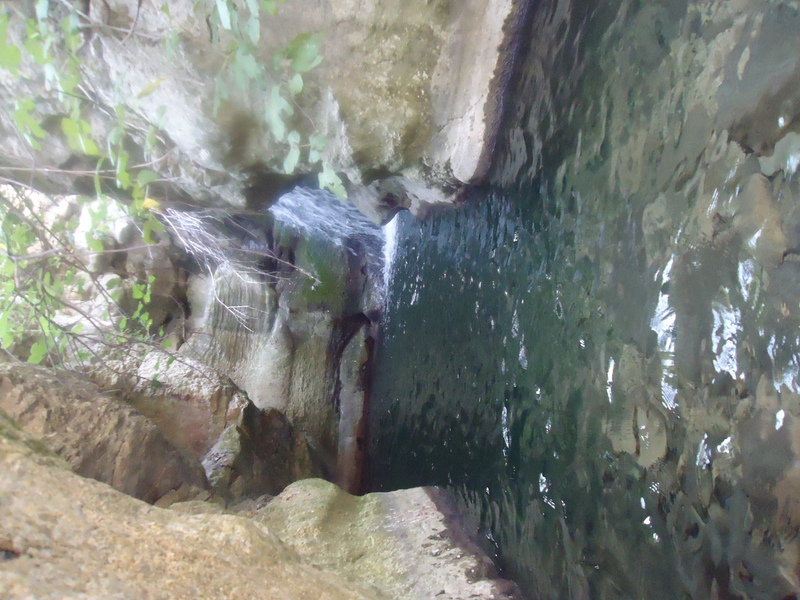 First, we went towards the river to see this waterway which has dug its way through a small gorge. The rock here is white and the vegetation so plush. We walked along the edge of the gorge and went to the point where we could see the waterfall. How wonderful to have this waterfall next to one’s property! It is a plus on hot summer days. After visiting the gorge, Ale and I walked to the farm which extends for two and a half hectares, both on flat areas and on terraces leading up to one of the hills overlooking the valley. Vallone means great valley. Vallone delle Pezze is the name to indicate pezze, what the locals call the layers of rock in this area. There are five layers of rock and the property lies on level four. As we reached Vallone, we started what would turn out to be a fantastic lesson on wild vegetation of the area and farming practices. At first, we saw a tank in which leaves were macerating to be used as mulch to boost the soil’s immune system. As Ale told me, she uses fern macerated leaves although the absolute best would be to use nettle. The goal here is to achieve self- sufficiency and live in total harmony with nature; there is no waste. Next, we looked at the rain water catching system used for their irrigation needs. 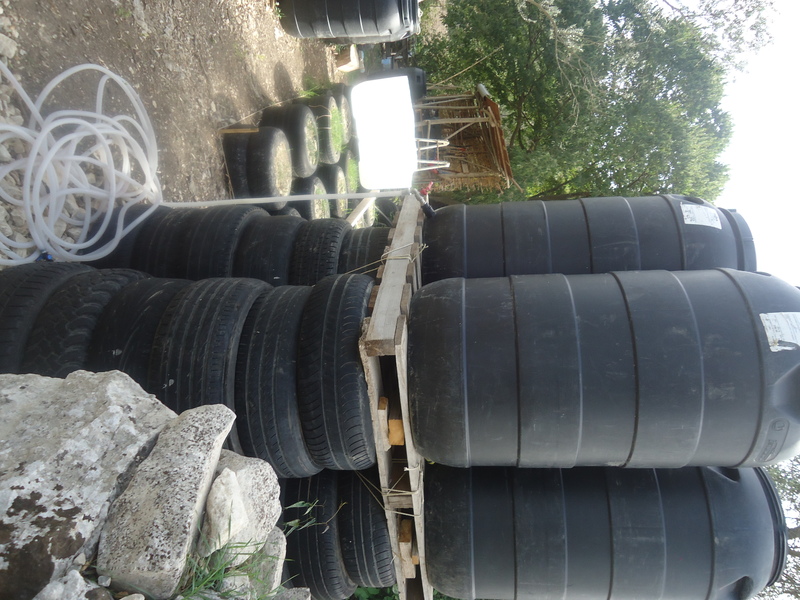 There is a first set of large bins that collect the water from which the water flows with no need to use power and the overflow is caught by a second set of bins. They are looking for a solar powered water pump to use for the large in ground water tank which is six meters deep. Along our walk, we observed some local types of trees. Here again the topic came up of how there are different names for plants from one area of Sicily to another; we saw “Bagolaro” which is the “Celtis Australis” here, but is called “Celtis Aetnensis” on Mt. Etna and then the “Melo Cucco” here, called “Caccamo” in the area close to Palermo. 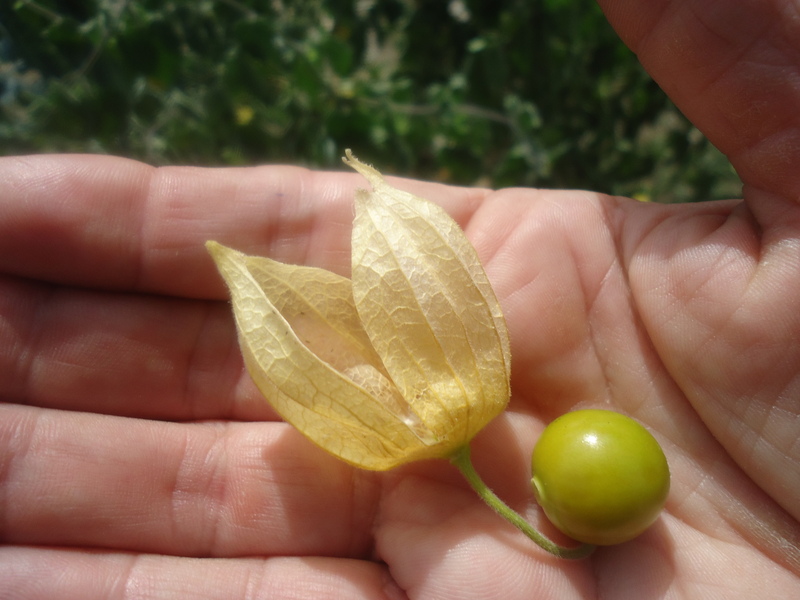 It was interesting to learn that they graft shoots into wild trees as this practice allows the tree to be stronger and need less water as it grows in its natural habitat; a tree grown at a nursery would be weaker. One example I saw was the Hawthorn which was grafted with a pear. 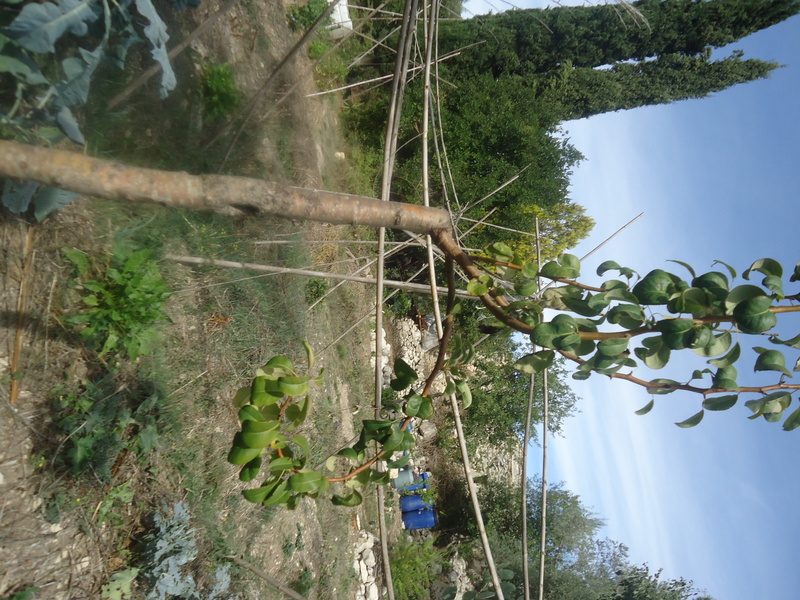 Ale mentioned that in another area they are planning on doing the same to a wild pistachio tree into which a pistachio shoot will be grafted. Ale explained the AIA area, which is the area where in the past the wheat kernel would be beaten by hand to extract the seed or the lentils from their pod and the wind would then carry the exterior part leaving the seed on the ground for picking. Now, there is a trellis and a small vine is growing. 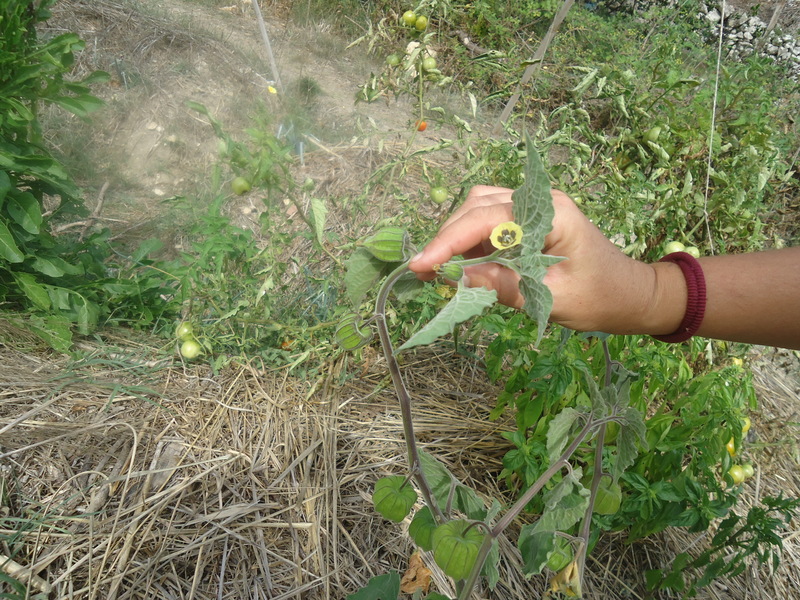 Next, we visited the vegetable garden. 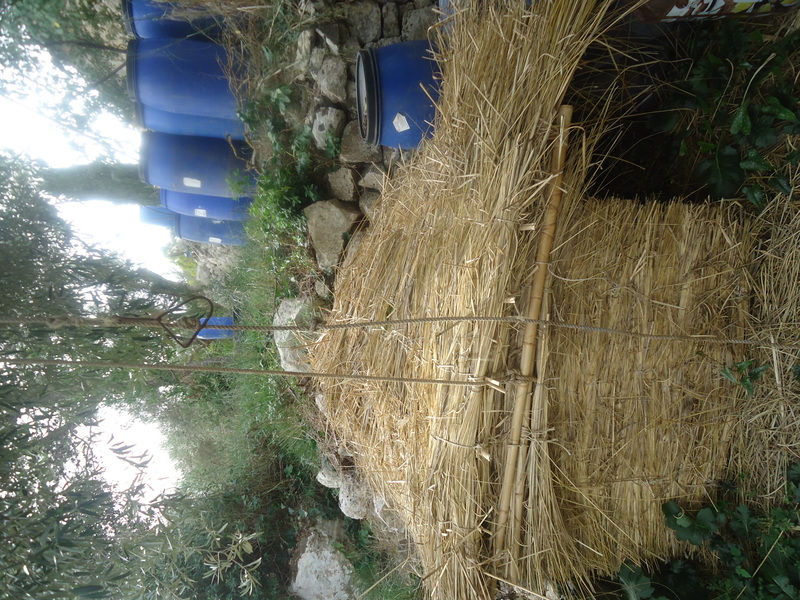 Here they have built some structures with cane and they can be covered with palm leaves in order to protect the vegetables from the hot sun rays resulting in less water needed to irrigate the land. Alche chengi originally from Peru’ – so tastefal! 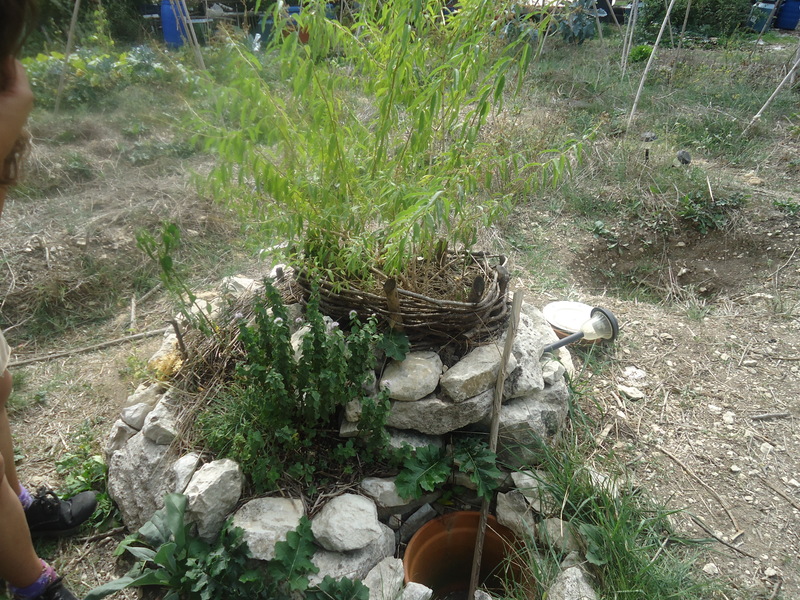 The herb spiral is ideal as in a small area you can grow more plants – here there is mint, chives, citronella , parsley and red peppers; this is a work in progress and experimentation and Ale stated that the ideal spiral would have entirely perennial plants. The Rocket stove has a ventilation combustion chamber; here they have used the brambles they removed from the land to cook on the rocket stove. 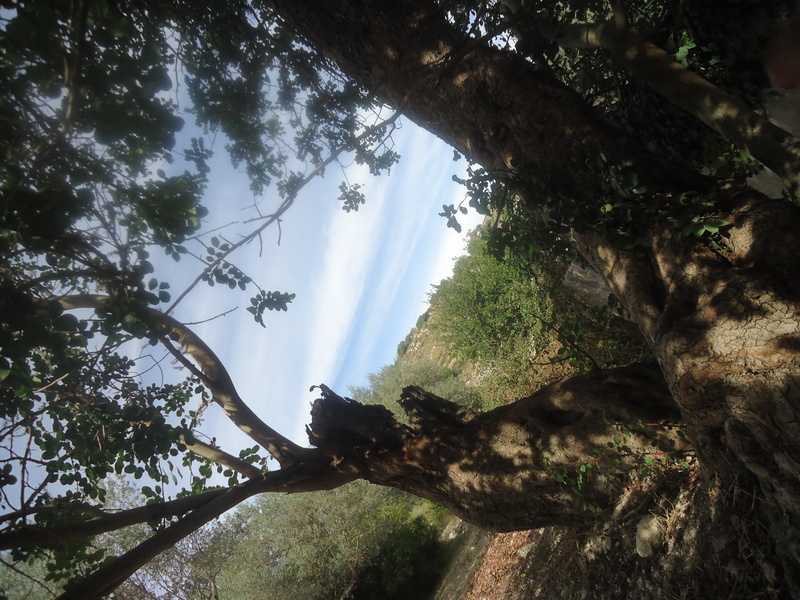 We walked all over the property and observed the different zones; we saw so many wild plants, as oregano, asfodelo, wild artichokes and then all the cyclamens. 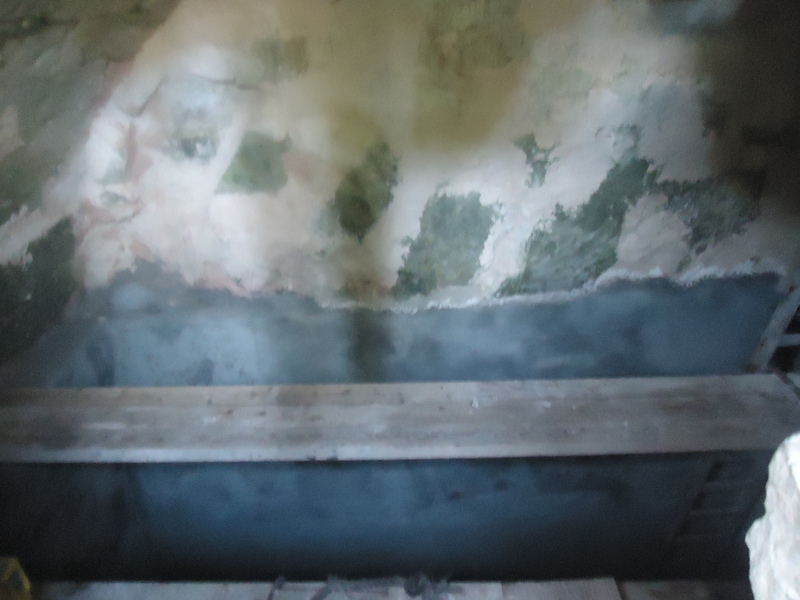 It was interesting to learn about compost toilets. In it waste is covered with dirt and ashes and then straw is placed on top. We checked the compost placed in a separate container which will take 7-8 months to become fetilizer. There was no smell at all and this was quite a surprise to me. Ale explained the chemical process of composting waste. When we reached what is called in permaculture zone 5 of the property, I learned that this area is left to its wilderness. Everything in zone 5 grows following its own cycle and is left alone. In this forest, Ale pointed out a clearing in the forest caused by the fall of a large tree and the natural habitat that has derived from this. 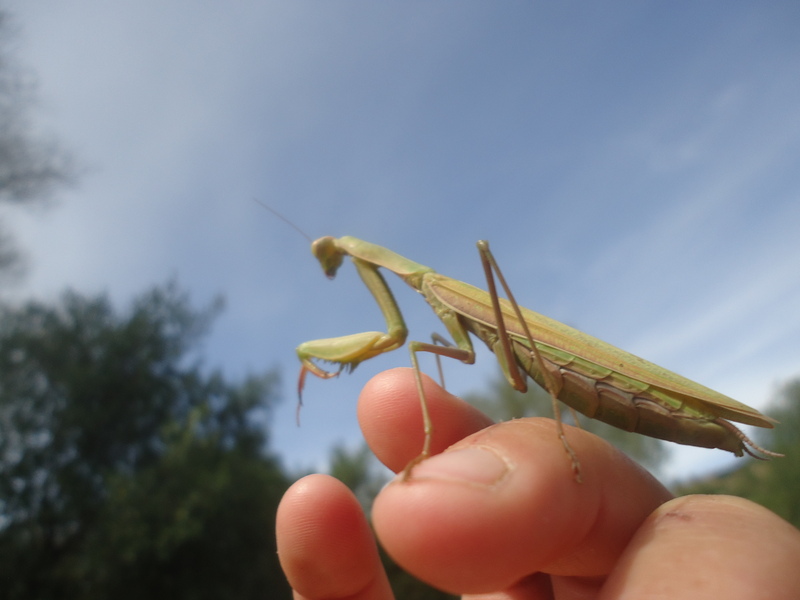 A Praying Mantis came by….. Finally, there is Lupa. Once a stray, she has found a home with some wonderful people! After forty years, the land comes alive again to bear food. I love their system and ingenuity. I know it must have been six long months of hard work to clear that land of 40 years of growth. Bravo to these people for being keepers of the land. Yes, they are doing a great job as keepers of the land! Can’t wait to talk to you when I return to Virginia. 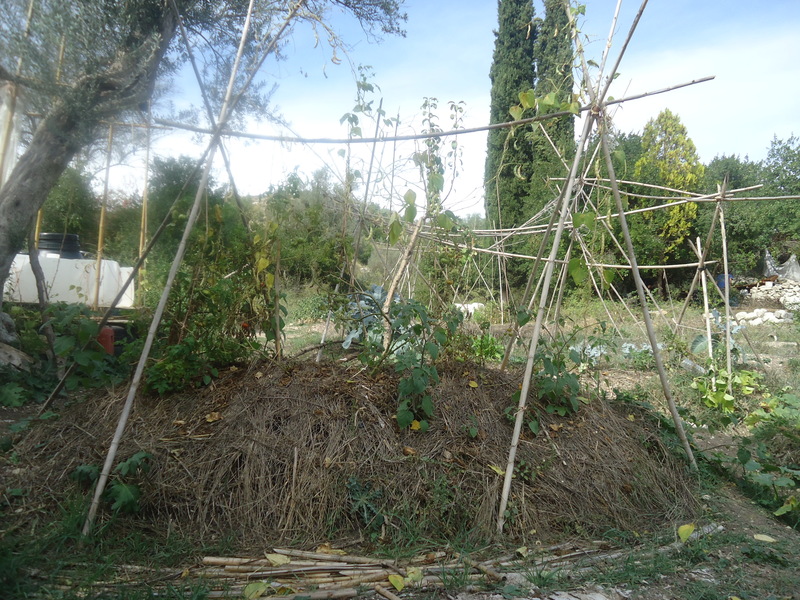 hello I am from Ragusa, and I am quite passionate about permaculture and sustainable living, can I pass by to see the site and give u a hand? If u read this before 14th of march give me a call (3339354476).. after the 14th i’ll be abroad for a while. Sono Rosanna, la scrittrice del blog e mi trovo all’estero al momento. Ho appena inoltrato il tuo messaggio ad Alessandra, la Ale del Vallone delle Pezze, traducendole il testo. Spero riusciate a parlarvi prima della tua partenza. Best Regards!!!!!!! !